Adbc - wow superb render and modeling, the background is awesome. Henryhor, Horo, mermaid : thank you for your kind comments. adbc: Fantastic space scene. Indeed second version much better, without the shadow. Love the colours and the swirling atmosphere above the planet. Hansmar : thank you for your comment. All three very imaginative, Ed3D...well done. ed3D - all three look very nice. great job. ed3d : very original entries, they all look great ! @ ed3D: thanks. The red halo in N° 2 is a nice addition. Ed3D - great set of entries, all are very nicely done. ed3D: Great set of entries. Good luck to all entrants, some really good ideas there. 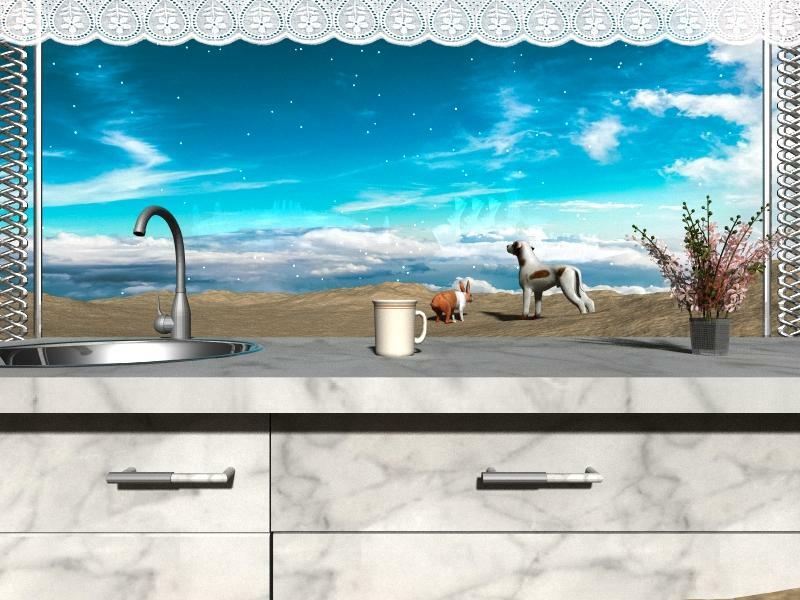 @adbc: High beyond the horizon is a fantastic render. Very good work. @ Ed3D: Three good works. Very well done. drachenlords : thanks for the nice comment. I suppose the challenge will finish today? Yes later on today It is only 3:30 in the morning Daz time yet. My second entry – Is there Life beyond or is it a Mirage? Most of the objects used are freebies from Archive3D.net, ShareCG and Turbosquid. mermaid - what a beautiful entry. Great idea and very well done. If you can select the sink, you could try to smooth it - though the facetted look is not disturbing. Mermaid: great scene and render. Love the way you used the window as a frame and the colour of the sky is wonderful. Thanks Horo and Hansmar, I'll try to smooth out the sink, and see if there is time to change it.